Draft: 2010, Pittsburgh Pirates, 1st rd. 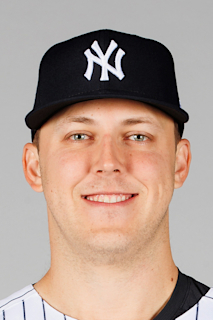 Jameson Lee Taillon (pronounced "TIEown")... Is a 2010 graduate of The Woodlands (TX) High School, where he went 8-1 with a 1.78 ERA in 11 games as a senior...Also struck out 114 batters and walked 21 in his 62.0 innings of work during his senior season...Whiffed 19 batters while tossing a no-hitter on 3/23/10...Was rated by Baseball America as the best pitcher available in the 2010 draft and as the second-best overall player among the top 200 prospects in the country...Was also rated by the same publication as having the "Best Fastball" and as being the "Closest to the Majors" among all high school pitchers... Made The Woodlands varsity team as a freshman and went on to post a 22-6 record and 282 strikeouts in 173.0 innings pitched during his high school career...Was the winning pitcher in the Gold Medal Game against Cuba for USA Baseball's 18U National Team during the Pan American Junior Championship in Venezuela in 2009...Went 2-0 with a 0.00 ERA and 28 strikeouts in two starts during the tournament...Signed by Pirates scout Trevor Haley...Played for Canada in the 2013 World Baseball Classic since his mother was born in Toronto and his father in St. Andrews West (near Cornwall, Ontario)...Was Pittsburgh's nominee for the 2018 Roberto Clemente Award...Was the recipient of the Chuck Tanner Memorial Award at the annual Pittsburgh Rotary Club Awards banquet on 11/10/18...A self-proclaimed "coffee expert," he discusses his favorites on www.probrew.co - a blog about coffee around the world. Ranked ninth among the National League leaders in ERA, tied for ninth in wins and was 11th in innings pitched...Was one of only four pitchers in the league to throw two complete games (also Max Scherzer, Mike Foltynewicz and Noah Syndergaard)...Led the Pirates in starts, innings pitched and strikeouts (all career highs)... Allowed three earned runs or less in each of his last 22 starts - one of just two true starting pitchers in MLB in 2018 to make at least 22 straight starts while allowing three earned runs or less; the other being New York's Jacob deGrom, who did so in a Major League record 29 straight...Became just the second Pittsburgh pitcher to be charged with three earned runs or fewer in 22 or more consecutive starts in the same season since Bob Friend did so in a single-season record 23 straight starts in 1963...Posted the fifth-lowest ERA in the Majors Leagues (2.63) from June 1 thru the end of the season...Went 14-1 when he received at least three runs of support when he was in the game...Started and won the Home Opener on 4/2 vs. Minnesota while striking out nine batters...Threw 110 pitches while tossing his first career complete game on 4/8 vs. Cincinnati; a one-hit shutout (only hit was a single by the pitcher Tyler Mahle in the fourth inning)...Also had an RBI-single in the game on 4/8... Was the first one-hit complete game by a Pittsburgh pitcher since A.J. Burnett twirled a shutout against the Cubs on July 31, 2012...Was named N.L. Player-of-the-Week for the week of 4/2-8 after going 2-0 with a 1.26 ERA (14.1ip/2er) in two starts...Pitched 6.0 scoreless frames in a no-decision on 4/14 and had a 0.89 ERA after his first three starts... Gave up five runs in 1.2 innings and suffered first loss on 4/19 at Philadelphia...Lost three straight starts between 4/19-30 and four consecutive decisions between 4/19 and 5/22...Collected his first career extra-base hit on 4/30 at Washington; an RBI-double off Tanner Roark...Sustained a laceration on the inside of the middle finger on his right hand and left his start on 5/11 vs. San Francisco after 3.0 scoreless innings...Did not miss a start...Had a no-decision on 5/16 vs. Chicago-AL (5.2ip/2er) ... Surrendered six runs, including a grand slam to Scooter Gennett, while losing a 7-2 decision on 5/22 at Cincinnati...Was in line for the win on 5/27 vs. St. Louis (6.1ip/3er), but was the victim of a blown save...Posted a 2.90 ERA (31.0ip/10er) in five starts during the month of June...Had 10 strikeouts on 7/12 vs. Milwaukee...Won back-to-back starts on 7/12 (6.0ip/1er) and 7/20 at Cincinnati (5.1ip/1er)...Became the first National League pitcher to throw two complete games in 2018 when he won a 10-2 decision over Chad Bettis at Coors Field on 8/7...Struck out career-high 11 batters while pitching 7.0 scoreless innings on 9/18 vs. Kansas City...Won five straight decisions between 8/25 and 9/24 and five of his last six overall...Went 9-3 with a 2.27 ERA (91.0ip/23er) in his last 14 starts, dating back to 7/12...Went 4-for-57 (.070) with a double, three RBI and five sacrifice bunts as a batter...Was the recipient the Pittsburgh BBWAA Good Guy Award and was the Pirates nominee for the Roberto Clemente Award. Surrendered just 10 home runs and ranked third among N.L. pitchers with a 0.74 HR/9.0ip ratio (minimum: 130.0ip)...Started the second game of the season for the Pirates and pitched 7.0 scoreless innings in a no-decision against Chris Sale at Fenway Park...Gave up one unearned run in 7.0ip and won a 6-1 decision in his third start on 4/16 at Chicago; the Pirates trailed 1-0 against Jon Lester before scoring three runs in the eighth and ninth innings...Posted a 0.90 (20.0ip/2er) in his first three starts...Was tagged for four runs in 5.1ip in a nodecision on 4/22 vs. New York (AL); also singled off Michael Pineda for first hit of the season...Won his second game on 4/28 at Miami (5.0ip/1er)...Gave up six runs (a pair of threerun homers) and suffered a 7-2 loss on 5/3 at Cincinnati...Was placed on the 10-day disabled list on 5/6 (retroactive to 5/4) due to groin discomfort...Was diagnosed with testicular cancer and had surgery on 5/8 (surgery performed by Dr. John Lyne in Pittsburgh)...Resumed light baseball activities, including playing catch and light cardiovascular workouts, on 5/15...Threw a bullpen session (25 pitches) on 5/23 at Atlanta and another (35 pitches) on 5/25 at Atlanta...Made a rehab start with Double-A Altoona on 5/28 at Erie (3.0ip/1h/0r/1bb/6so - 47 pitches)... Had rehab assignment transferred to Triple-A Indianapolis on 6/2...Threw 68 pitches in first rehab start with Indy on 6/2 vs. Gwinnett (5.0ip/3h/1r/0er/0bb/6so)...Made his second and final rehab start with Indianapolis on 6/7 at Toledo (6.0ip/ - 97 pitches)...Went 0-1 with a 3.21 ERA (14.0ip/13h/6r/5er/3bb/21so) in three rehab starts...Was recalled from rehab assignment and reinstated from D.L. on 6/12...Made start on 6/12 vs. Colorado - exactly five weeks from having surgery - and tossed 5.0 scoreless innings for the win...Struck out career-high nine batters on 7/4 at Philadelphia...Missed scheduled start on 7/9 at Chicago due to flu-like symptoms...Had a career-best 18.1 scoreless innings streak between 6/23 and 7/15...Threw a professional-high 116 pitches in 5.1 innings while winning his sixth game on 7/20 vs. Milwaukee... Gave up a career-high 10 runs (nine earned) on 7/25 at San Francisco...Walked a career-high five batters on 8/22 vs. Los Angeles...Pitched 6.0 scoreless innings in a no-decision on 9/2 vs. Cincinnati...Lost back-to-back starts on 9/7 vs. Chicago and 9/18 vs. Milwaukee...Won his final game on 9/24 vs. St. Louis...Was charged with four runs in his last three starts (17.0ip - 2.12 ERA)... Went 4-1 with a 2.93 ERA in eight starts during the afternoon... Surrendered two runs or less in eight of his 10 road assignments, with the two others being losses at Cincinnati on 5/3 (5.0ip/6r) and at San Francisco on 7/25 (3.0ip/10r)...Went 6-for-38 (.158) with five sacrifice bunts at the plate...Hit safely in four of his last seven games (5-for-12) after going 1-for-26 in his first 16. Entered season ranked by Baseball America as the club's fourth-best prospect...Pitched a professional career-high 165.2 innings and had a career-high 146 strikeouts between Triple-A and the Majors...His 3.38 ERA ranked second among National League rookie starting pitchers behind Junior Guerra (2.81)...Also ranked ninth among N.L rookies in innings pitched...Began season with Indianapolis...Made first start on 4/13 at Toledo - his first professional game since the end of the 2013 season - and gave up just one run in 6.0ip while recording the win...Took a no-hitter into his final frame and allowed one hit over 6.0 innings in a 1-0 victory at Louisville on 4/23...Went 2-0 with a 1.54 ERA (23.1ip/4er) and 23 strikeouts in four starts during the month of April... Pitched 7.0 scoreless innings and allowed two hits in a no-decision on 5/3 vs. Durham...Struck out a career-high 11 batters in 6.0ip on 5/14 at Scranton/WB...Pitched at least 6.0 innings in nine of his 10 Triple-A starts thru 6/3 and was charged with two earned runs or less in seven of the 10...Was ranked fifth among International League leaders in ERA (2.04) and sixth in strikeouts (61) when he was recalled by Pittsburgh on 6/8... Made his Major League debut on 6/8 vs. New York (NL) and opposed Noah Syndergaard; gave up three runs in 6.0ip and received a no-decision... Was optioned back to Indianapolis on 6/9...Was recalled again on 6/14 when Gerrit Cole went on the disabled list...Pitched 6.0 innings of nohit ball while winning his first Major League game on 6/14 at New York (NL)...Suffered first big league loss (4.0ip/4er) on ESPN's Sunday Night Baseball on 6/19 at Chicago (NL)...Was placed on the 15-day disabled list on 7/5 (retro to 6/30) with right shoulder fatigue...Was reinstated on 7/19 and started that night vs. Milwaukee; was in line for a 2-1 victory (6.0ip/1er) before the Brewers tied the game in the bottom of the ninth... Was also hit in the back of the head by a line drive off the bat of Hernan Perez in the second inning, but remained in the game and pitched 4.0 more innings...Went 25.0 consecutive innings without issuing a base on balls from 6/29 to 8/5...Made four straight starts without walking a batter between 6/29 and 7/30 - the longest such streak by a Pittsburgh starting pitcher since Zane Smith went four in a row in 1992...Pitched a career-high 8.0 innings while winning his first career game at PNC Park on 8/11 vs. San Diego...Snapped an 0-for-18 start to his batting career with a single off Jeff Samardzija on 8/16 at San Francisco...Had careerhigh eight strikeouts and pitched 8.0 innings, but lost a 3-1 decision to Doug Fister and the Astros at PNC Park on 8/22... Posted a 3.19 ERA in August; the lowest among all National League rookies...Collected his first Major League RBI on 9/17 at Cincinnati (game 1)...Singled and tallied second RBI on 9/23 vs. Washington...Allowed just one hit (a first inning homer to Anthony Rizzo) and walked a season-high three batters in 6.0ip while winning his final start on 9/28 vs. Chicago...Went 3-for-32 (.094) with two RBI and four sacs at the plate with the Pirates. Spent season recovering from Tommy John surgery (performed on 4/9/14)...Made seven outings in Extended Spring Training...Made first outing on 5/14 (1.0ip/11 pitches)...Also threw 2.0 innings/38 pitches on 5/23 and 3.0 innings/32 pitches on 5/27...Made final outing on 6/18 (5.0ip/74 pitches)...Was diagnosed with lower abdominal discomfort on 6/19; was diagnosed as a sports hernia on 6/30...Had surgery performed by Dr. George Eid on 7/8 to repair an inguinal hernia. Was ranked by Baseball America as Pittsburgh's secondbest prospect and as having the "Best Curveball" in the farm system prior to the season...Went to spring training as a non-roster invitee and made two relief outings (2.2ip/3r/1er)...Missed entire regular season after undergoing surgery to repair the ulnar collateral ligament in his right elbow on 4/9 (surgery performed in New York by Dr. David Altchek). Entered the season ranked by Baseball America as Pittsburgh's second-best prospect and as having the "Best Curveball" in the Pirates system...Also ranked by MLB.Com as No. 15 in their list of the Top 100 prospects in baseball...Pitched for Team Canada in the World Baseball Classic...Made one start for Canadian team (vs. USA) and allowed two runs (one earned) in four innings pitched on 3/10...Went 5-10 with a 3.73 ERA (147.1 IP/61 ER) and 143 strikeouts in 26 minor league games (25 starts) between Double-A Altoona and Triple-A Indianapolis...Ranked third among all Pirates minor leaguers in strikeouts behind Tyler Glasnow (164) and Nick Kingham (144)...Began season with Altoona and was named to the Eastern League mid-season All-Star team...Was victorious in first start on 4/6 at Erie (5.0 IP/0 R)...Struck out a career-high 10 batters in a loss to Harrisburg on 4/12...Left his start on 5/7 at Harrisburg in the fourth inning after being struck in the shin with a comebacker off the bat of Ricky Hague...Pitched 6.0 scoreless innings on 5/12 vs. Richmond...Matched season and career high with 10 strikeouts on 5/19 at Richmond...Missed start on 6/9 due to a stiff neck...Made next start on 6/16 vs. Trenton (5.0 IP/1 R/0 ER); was on a 75-pitch limit during 6/16 start due to long layoff between starts...Left game on 6/22 at Bowie with a six-run lead (5.0 IP/2 ER), but received a no-decision...Made first professional relief appearance on 7/1 (7/2) at Binghamton - began the suspended game on his scheduled day to start...Surrendered a career-high 10 runs on 13 hits in 3.1ip on 7/13 at Akron...Rebounded with 7.0 innings of three-run ball vs. Erie on 7/18 and recorded his first win since 5/24...Came down with neck stiffness for second time and missed next start...Returned to mound on 7/31 and gave up four hits and just one run in 5.0 IP...Was promoted to Indianapolis and suffered loss in Triple-A debut on 8/5 vs. Louisville (5.0 IP/3 ER)...Won lone game with Indianapolis on 8/22 at Rochester (6.0 IP/1 ER)...Suffered losses in each of his final two regular season starts...Pitched 5.0 innings in relief (1 H/0 R/5 BB/5 SO) of rehabbing Wandy Rodriguez in Game Three of first-round playoff series vs. Durham on 9/6...Allowed one unearned run in 2.0 innings in his only start with Scottsdale in the Arizona Fall League before being shut down for the remainder of the season due to a groin injury. Entered the year ranked by Baseball America as Pittsburgh's second-best prospect and 15th in all of minor league baseball...Was also tabbed by the same publication as having the "Best Curveball" among Pirates farmhands...Went 9-8 with a 3.53 ERA (142.0 IP/56 ER) and 116 strikeouts in 26 combined starts between Single-A Bradenton and Altoona...Ranked eighth in ERA among all pitchers in Pirates minor league system...Suffered a loss in his Marauders debut on 4/7 at St. Lucie after allowing two runs in 3.2 innings...Struck out at least six batters in each of his first four starts...Tossed 5.0 scoreless innings and was in line for the win but received a no-decision on 4/24 vs. Jupiter...Picked up his first victory after pitching 6.0 scoreless innings on 4/29 at Jupiter...Was named the Florida State League Pitcher-of-the-Week for the week of 4/23-30; tossed a combined 11.0 scoreless innings for the week...Did not allow a run for the third time over a four-start stretch on 5/10 vs. Clearwater to lower ERA to 1.47...Tossed first professional complete game (6.0 innings) in loss at Brevard County on 6/2...Was roughed up for a career-high eight runs on 10 hits in 4.2 innings of work on 6/13 at Fort Myers before bouncing back to win his next two starts...Allowed just one hit over 7.0 scoreless innings on 6/19 vs. St. Lucie...Was named to the Florida State League mid-season All-Star team, but did not see any game action...Allowed one run on two hits in 1.0 inning of work at the All-Star Futures Game in Kansas City...Tossed a combined 12.0 scoreless innings in back-to-back starts on 7/30 and 8/4...Was named the Florida State League Pitcher-of-the-Week for the week of 7/30 to 8/6...Was promoted to Altoona on 8/17...Tossed 5.0 scoreless innings while winning his Double-A debut on 8/21 at Trenton...Allowed just one hit over 6.0 scoreless innings in his next start while striking out seven batters...Allowed his first Double-A run while picking up the win in his final start on 8/31 at Erie...Was named the Eastern League Pitcher-of-the-Week for the week of 8/20-27...Finished the year tied for the Florida State League lead in complete games...Was ranked as the third-best prospect in the Florida State League following the season by Baseball America behind Miami's Jose Fernandez and teammate Gerrit Cole. Was ranked by Baseball America as Pittsburgh's top prospect prior to the season; was also rated by the same publication as having the "Best Fastball" and "Best Curveball" in the system...Spent first professional season with West Virginia and was named to the South Atlantic mid-season All-Star team...Struck out at least one batter in all but one of his 23 starts...Made pro debut on 4/27 vs. Hagerstown and gave up one run in 2.0 IP...Recorded first win on 5/28 at Augusta (5.0 IP/1 ER)...Allowed one run or less in eight of his first 11 starts...Went 2-1 with a 3.16 ERA in 10 starts prior to the All-Star break and went 0-2 with a 4.68 ERA in 13 starts after. June 12, 2017 Pittsburgh Pirates activated RHP Jameson Taillon from the 10-day injured list. June 2, 2017 Pittsburgh Pirates sent RHP Jameson Taillon on a rehab assignment to Indianapolis Indians. May 28, 2017 Pittsburgh Pirates sent RHP Jameson Taillon on a rehab assignment to Altoona Curve. May 6, 2017 Pittsburgh Pirates placed RHP Jameson Taillon on the 10-day disabled list retroactive to May 4, 2017. Groin discomfort. September 2, 2016 Pittsburgh Pirates recalled RHP Jameson Taillon from Bristol Pirates. August 30, 2016 Pittsburgh Pirates optioned RHP Jameson Taillon to Bristol Pirates. July 19, 2016 Jameson Taillon roster status changed by Pittsburgh Pirates. July 4, 2016 Pittsburgh Pirates placed RHP Jameson Taillon on the 15-day disabled list retroactive to June 30, 2016. Right shoulder fatigue. June 14, 2016 Pittsburgh Pirates recalled RHP Jameson Taillon from Indianapolis Indians. June 9, 2016 Pittsburgh Pirates optioned RHP Jameson Taillon to Indianapolis Indians. June 8, 2016 Pittsburgh Pirates recalled Jameson Taillon from Indianapolis Indians. March 14, 2016 Pittsburgh Pirates optioned RHP Jameson Taillon to Indianapolis Indians. October 8, 2015 Jameson Taillon roster status changed by Pittsburgh Pirates. October 5, 2015 Pittsburgh Pirates recalled RHP Jameson Taillon from Indianapolis Indians. September 24, 2015 Indianapolis Indians activated RHP Jameson Taillon from the 7-day disabled list. April 9, 2015 Indianapolis Indians placed RHP Jameson Taillon on the 7-day disabled list. March 19, 2015 Pittsburgh Pirates optioned RHP Jameson Taillon to Indianapolis Indians. November 20, 2014 Pittsburgh Pirates selected the contract of Jameson Taillon from Indianapolis Indians. September 9, 2014 Indianapolis Indians activated RHP Jameson Taillon from the 7-day disabled list. April 3, 2014 Indianapolis Indians placed RHP Jameson Taillon on the 7-day disabled list. January 6, 2014 Pittsburgh Pirates invited non-roster RHP Jameson Taillon to spring training. September 27, 2013 RHP Jameson Taillon assigned to Scottsdale Scorpions. September 17, 2013 Jameson Taillon assigned to Scottsdale Scorpions. August 5, 2013 RHP Jameson Taillon assigned to Indianapolis Indians from Altoona Curve. January 17, 2013 Pittsburgh Pirates invited non-roster RHP Jameson Taillon to spring training. August 17, 2012 Jameson Taillon assigned to Altoona Curve from Bradenton Marauders. July 13, 2012 Jameson Taillon roster status changed by Bradenton Marauders. July 6, 2012 Bradenton Marauders placed RHP Jameson Taillon on the temporarily inactive list. April 3, 2012 RHP Jameson Taillon assigned to Bradenton Marauders from West Virginia Power. April 27, 2011 Jameson Taillon assigned to West Virginia Power from State College Spikes. September 23, 2010 Jameson Taillon roster status changed by State College Spikes. August 20, 2010 RHP Jameson Taillon assigned to State College Spikes from Pittsburgh Pirates. August 16, 2010 Pittsburgh Pirates signed RHP Jameson Taillon.